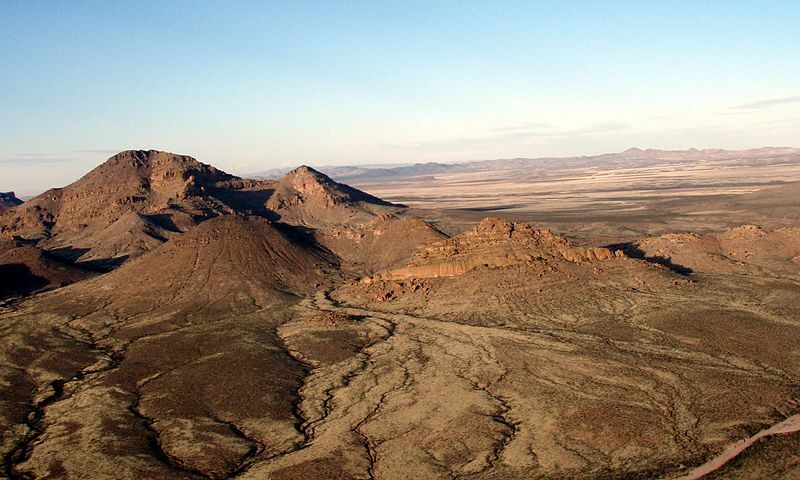 A type of site never before described by archaeologists is shedding new light on the prehistory of the American Southwest and may change conventional thinking about the ancient migrations that shaped the region. The sites, discovered in the southern mountains of Arizona and New Mexico, are remote Apache encampments with some often “disguised” features that have eluded archaeologists for centuries. And their discovery is surprising not only for their seclusion but also for their age, because some sites appear to date back hundreds of years before Apaches were thought to have migrated to the region. “[T]he dates suggest that Apache groups were present in the southernmost Southwest in the 14th century, long before the arrival of Europeans, countering long-held notions that the Apache were late arrivals from the Plains,” writes Dr. Deni Seymour, research associate with New Mexico’s Jornada Research Institute and the University of Colorado Museum. The sites are called platform cave caches, where small, uniquely constructed platforms were built in rockshelters to secretly hold a stash of goods for later use, Seymour writes in the Journal of Field Archaeology, where she describes the finds. The structures were sometimes “disguised” by rocks and other features in the caves, and typically included a ring of stones layered with ersatz shelves made from local desert plants, like ocotillo or yucca, and secured on the top with grasses, branches and stones. The Apache practice of caching goods in caves — like pottery, basketry, food and, in later years, weapons and ammunition — has turned up in accounts from 19th century Native Americans and settlers, but no evidence of the custom had ever been found before. 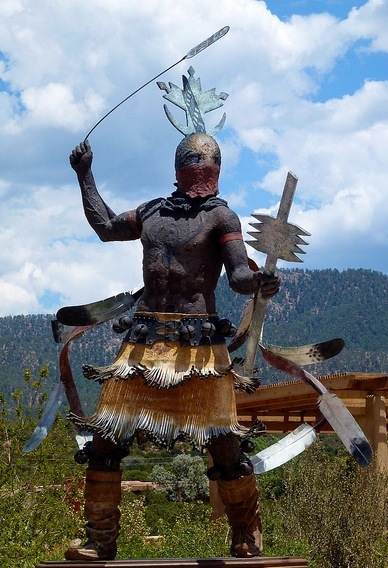 Seymour notes that such secret stashes were necessities for itinerant people like the ancestral Apache, whose livelihoods often came from raiding other bands or foraging in places that were frequently under the control of other groups. This may explain why the newfound caches were discovered only in remote mountain spots, and in areas far outside the boundaries of other, more sedentary farming groups, like the Mogollon, Mimbres or Hohokam. 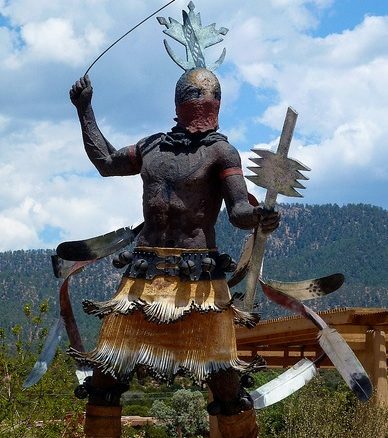 But, the author notes, the sites do fall within the historic range of particular Apache bands, including the Mescalero of southern New Mexico, and the Chiricahua in Arizona, who offered one of the last and longest resistances to European-American control. The most convincing evidence of the sites’ origin, however, is the fact that many include uniquely Apache artifacts, such as pottery and rock art. “The distinctly Apache imagery illustrates some continuity in symbolic expression through time and provides a means for archaeologists to deﬁnitively apply a cultural afﬁliation to associated material culture, in this case, the platform cache,” she writes. In the case of the Peloncillo site, radiocarbon dating of yucca fibers used to build the cache were dated to the 1600s. The new platform caches add to previous research Seymour has conducted in Arizona’s Dragoon Mountains, where another Apache camp — this one without a cache — was dated to the 14th and 15th centuries. The new dates “open a host of new possibilities regarding the end of prehistory,” Seymour writes, suggesting that the years leading up to European contact may have been marked by interactions — either peaceful or not — between the itinerant Apaches and more sedentary groups, and that those relationships may have been long-standing by the time the Spanish appeared. Interesting stuff, archeology has gotten more fascinating since the scientists involved have written on their evidence of what happened in America, rather then their speculation. Maybe this will be added to a 1491 reissue? This is a Major contribution to the literature, and history of the Southwest…Thank You, Deni for your tireless efforts. Thanks for including the news write up on the Apache Platform caches. I would like to point out that the earliest dates are in the AD 1300s (the 14th century) not the 1400s, though there are dates in the 1400s as well. The series of chronometric dates run from the AD 1300s up to the 1800s and samples are on grasses, leaves, and on associated pottery. What exactly leads one to believe that the platforms were constructed by Apache, and not just reused by them? It’s entirely possible that all the early dated materials were already present in the caves when the Apache found them. Not great scholarship, really. The “Apache” are not a single culture, but rather numerous disparate cultural groups (speaking different, mutually unintelligible and historically unrelated languages in some cases). It should come as no surprise whatsoever that one or more of these many disparate unrelated groups may have deeper roots in the region than others who clearly arrived much later. Because there’s really no distinct Apache culture, history or ethnicity, and the group is a group only because westerners chose to categorize these different groups as a single group based solely on the fact that they occupied the same general region and were generally hostile, this research seems pointless and the conclusions rather meaningless. love this web site and all they report on,thank you.